"I felt if I wasn't going to be captain I would have to be stripped of it - I felt if I got a sniff and some momentum I would be able to do something different." Jason Holder admits his over-rate ban for the third Test is 'very frustrating' but has refused to criticise the umpires. 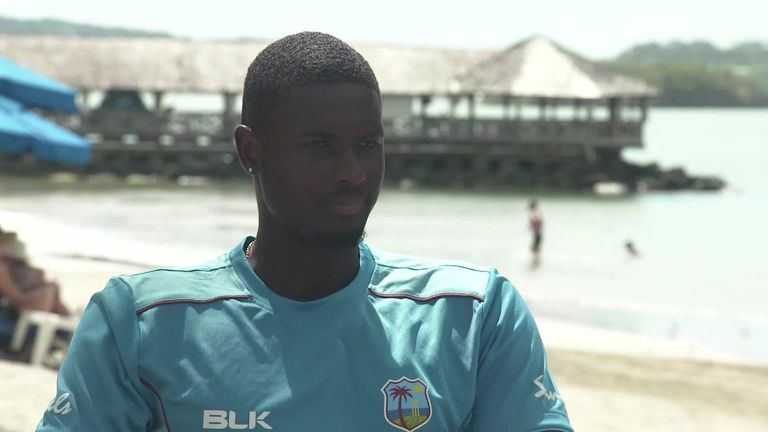 Jason Holder told Sky Sports Cricket that Windies have "surprised" England during their Test series win in the Caribbean - and how he is now intent on taking his side top of the Test rankings. Holder has captained Windies into an unassailable 2-0 lead in the series but will miss the final match in St Lucia, live on Sky Sports Cricket from Saturday, due to an over-rate offence, a decision the 27-year-old - who will be replaced as skipper by Kraigg Brathwaite - admits is "frustrating". The Barbadian's side batted for 131 overs in their first innings on a spicy Antigua pitch in the second Test - Darren Bravo digging in for 50 from 216 balls - with England lasting a combined 103.1 in both as they tumbled to a 10-wicket defeat, a week after going down by 381 runs in Barbados. Holder feels that with battling batsmen, a "fiery" pace attack and a young squad that there is no reason Windies cannot surge up the rankings from their current position of eighth. Michael Atherton describes Holder's ban for an over-rate offence as 'ridiculous', but Nasser Hussain understands why the ICC has enforced it. 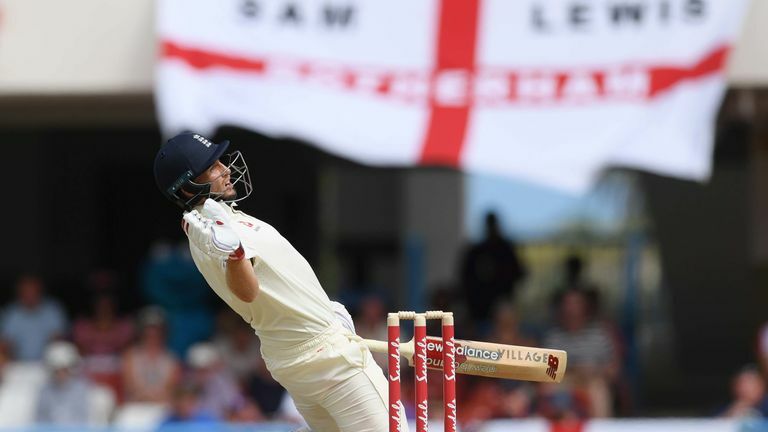 "I think the entire England side has been a bit surprised, more so with the consistency we have played with," Holder told Sky Sports' Michael Atherton ahead of the third Test in Gros Islet. "Before we succumbed to pressure - you felt that if you bogged down the West Indies team as a batting unit, you may be able to get under their skin and get wickets, so what we have spoken about a lot is not having wickets fall in clusters. "A tactic I probably picked up from Joe [Root] was that he had long spells with Jimmy [James Anderson] and Stokesy [Ben Stokes] when they probably felt that if they picked up one, they could get two or three quickly. "[The fact that didn't happen] was a turning point and hopefully this victory - clinching a series against a side ranked higher than us - can be a turning point for this young team's career. "I feel we can go to the very top - if you look at the ages of the guys in this team, we are very young and if we can continue in this vein over the next two or three years I don't see why we can't be No 1. "It will take a lot of hard work and we need to be honest about where we are and where we need to be. If we plot a clear path as a unit and individuals, nothing is stopping us from being the No 1 in the world. "We are trying to get fiery fast bowlers back into West Indies cricket. "Shannon Gabriel has been around for a while but it's good to see Alzarri Joseph coming through and we have Oshane Thomas on the sidelines waiting for his opportunity. I also see one or two others in the region who can potentially get into the Test side." Joe Root was dismissed by a brutal delivery from Alzarri Joseph in Antigua. Holder's side suffered heavy Test series defeats in India and Bangladesh before Christmas - the latter without the skipper due to a shoulder injury - and had won only two of their previous 15 Test series before knocking off Root's England this winter. But the all-rounder says he has never considered "throwing in the towel" and quitting as captain as he always felt he was the right man to lift Windies out of the doldrums. "I knew it was going to be difficult - maybe not this difficult - and that there would be some pushback from fans and people around West Indies cricket," Holder added, reflecting on becoming captain at the age of 23. "But I knew I had what it takes to lead as I have been leading sides for as far back as I can remember. I led plenty of Barbados sides in youth cricket, had the opportunity to captain the West Indies U19 team in spurts - I have always been seen in a leadership role. "Honestly, I didn't expect to captain Windies at 23 years of age and I have had some really tough days but I have just tried to be as positive as I can and draw on people close to me for guidance. Team-mates have also helped me out a lot. "When I first took up the captaincy I felt as though I was getting distracted by stuff off the field and tried so hard to get the players in their comfort zone and keep them happy. "I probably lost sight of my actual role in the team and felt my performances were a bit stagnant. 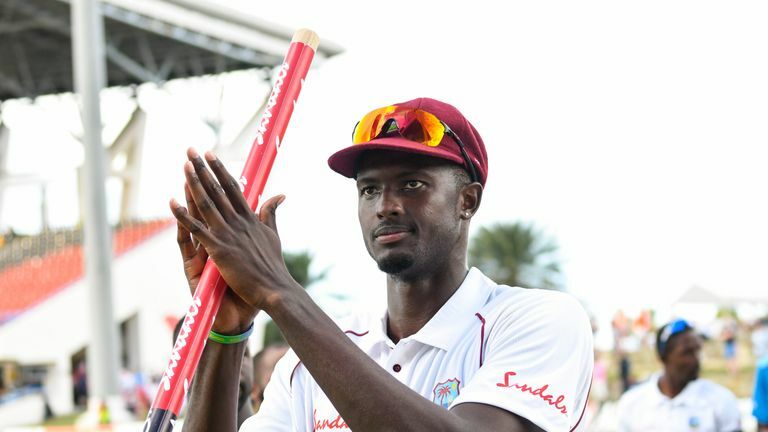 Jason Holder says Windies legends, including Clive Lloyd and Desmond Haynes, inspire him to 'build a legacy' during his time as captain. "I got to a point where I said to the lads: 'Look, we have all signed contracts to play for West Indies so that means we are committed to playing for West Indies and might as well get on with it and play cricket'. From then, I started focusing a lot more on my cricket and trying to lead by example. Windies' player pool would be deeper if Holder's fellow Barbadian all-rounders, Chris Jordan and Jofra Archer, were available - Jordan has played 74 games across all formats for England, while Archer is on the verge of qualifying for his adopted country ahead of the World Cup. Holder hopes Windies' upturn as a Test nation can help end the talent drain from the Caribbean. I’d say it was probably one of the best moments of being captain so far, more so to see where we have come from, remembering the hard times and being able to overcome them. "It's a bit disappointing knowing these guys who have grown up with you and who can have a serious impact on West Indies cricket have gone to English cricket," he added. "But I can't fault people for their personal decisions. Everyone has to make a decision based on their personality and what they want. I respect them and still love them the same way. "People like Jofra and Chris are exceptional cricketers - I have had little conversations with Jofra but it seems like his mind is pretty clear. "I feel a bit sorry for Chris who burst on the county scene but is now not playing a lot for England. I could definitely see him fitting into the West Indies set-up. 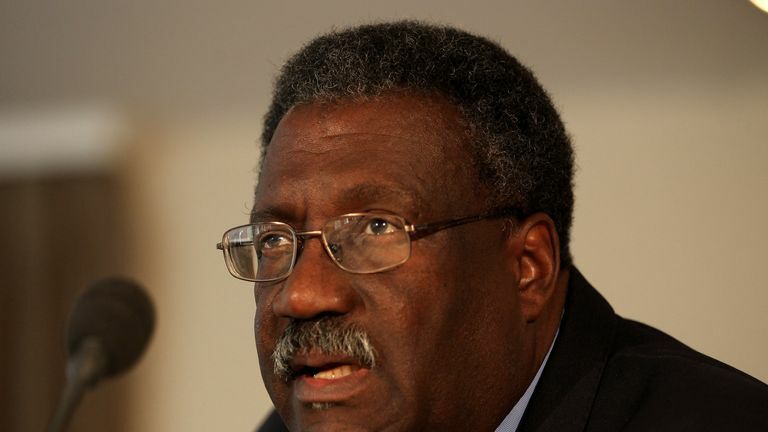 "Hopefully the West Indies Cricket Board can find ways to keep players in our system. 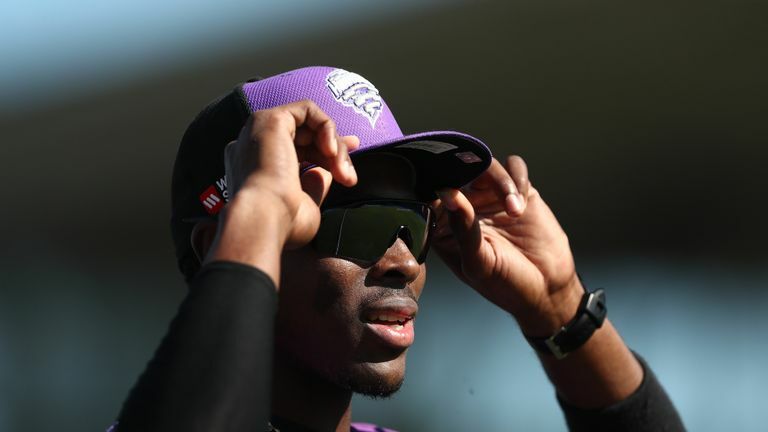 The ECB's new managing director Ashley Giles describes Jofra Archer as an 'exciting cricketer' who could challenge for a place in England's World Cup squad. "I think we would all agree the English system is a little more settled and you have a lot more security within it but I think lots of young players look for the easy way out. "I think the West Indies system has improved leaps and bounds - there is a long way to go but hopefully with us doing a bit better in terms of our performances we can bring more respectability back to West Indies cricket and bring sponsors to inject some capital in."